BMW knew the successor to the E21, the original 3-Series, would inaugurate additional body styles in order to appeal to a larger audience but no one expected a factory-built station wagon to join the lineup. The makers of the Ultimate Driving Machine had never dabbled in station wagons and it was not missing out on a lucrative market segment because none of the E30’s main rivals were particularly family-friendly. The push for a 3-Series station wagon came from deep within the company. Max Reisböck, a BMW engineer who built prototypes at the firm’s headquarters in Munich, had two young children and was growing increasingly frustrated at how difficult it was to take his family, his family’s luggage and his kids’ toys on vacation in a regular 3-Series sedan. 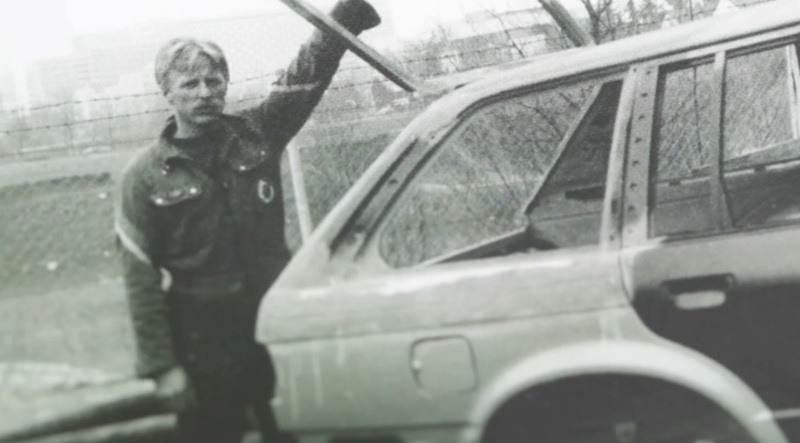 Since a station wagon was not in BMW’s product plan, Reisböck purchased a wrecked 323i four-door sedan in 1984 and started toying around with the idea of converting it into a wagon. “I had no construction blueprints, the vehicle and the modifications were all in my head,” explained Reisböck in an interview with BMW TV. Working in a friend’s garage with a budget of roughly $13,000 (about €9,600), Reisböck moved the E30’s C-pillars back to the corners of the car and fabricated the missing roof panel and new rear door frames using pre-cast pieces. The rear side windows were pulled from a two-door E30 and trimmed to fit, while a glossy black paint job and four BMW alloys finished off the look. Reisböck built the world’s first E30 Touring in just six months. Encouraged by his friends and co-workers, he showed his creation to members of BMW’s Board of Management who were so impressed they asked to keep the wagon in order to study it. Three years later, the 3-Series Touring was launched in select markets across Europe with only small modifications made to Reisböck’s initial design. The biggest change was that the trunk lid on the production car extended almost all the way down the bumper in order to lower the loading floor. Throughout its production run, the Touring was offered with four- and six-cylinder gasoline-burning engines, a six-cylinder diesel unit, manual and automatic transmissions and either rear- or all-wheel drive, making it one of the most versatile wagons on the market. It offered up to 39 cubic feet (1,125 liters) of trunk space with the rear seats folded flat. A total of 103,704 Touring models were built by the time it was phased out in 1993. Although less successful than the two-door convertible, the Touring concept was retained and it has been applied to every generation of the 3-Series built since. Photos courtesy of BMW’s archives department. I love those old e30’s!